Still previous make and model, allegedly? Nice looking car but I bet it was a pig to drive and and broke down frequently. Of course but don`t forget to answer the remaining two questions too. I already knew about it. 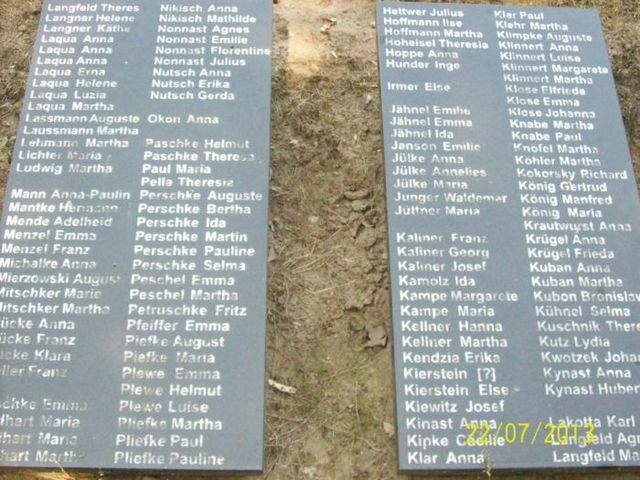 Next year I plan to go to Central Prisoner of War Museum at Stalag VIIIB in Łambinowice. Moszna Castle is only just over 20 kms down the road, so I will be fitting in a visit there too. After Malbork and Ksiąsż castles, Moszna Castle is probably one of the best known of Poland's castles. Now I did look this up. I think it is a Warszawa 200 model. It was redesigned in 1957. Originally it was called an M20? Don't know about earlier models than that, but it's supposed to have looked like a Soviet Pobeda. Still stuck on the Black Madonna. 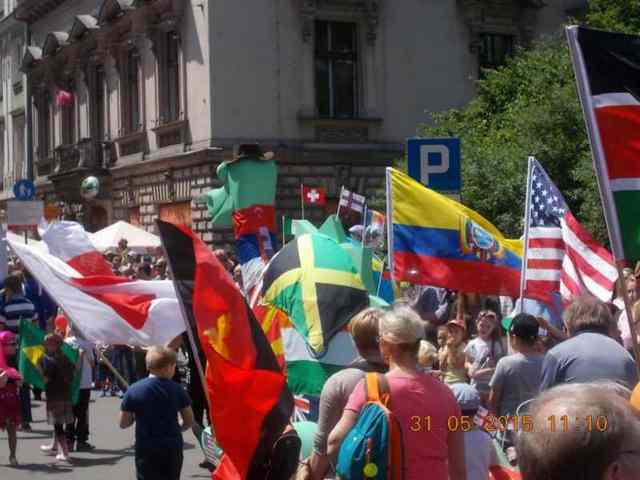 All I can find for June events, is Jewish Culture, Kraków City Festival, and others that appear to have no relevance. Nothing much under exhibitions. It's not made of flower buds or leaves is it? Nah commie cars were actually very rugged. Simple, ugly, and slow ASF, but mechanically they were sound. Yes, I read an old driver comment on it, in fact he liked his Warszawa for durability and endurance on rough terrain, it was like a Russian tank. to have looked like a Soviet Pobeda. Yes, exactly, Warszawa was licensed from Pobeda. Now, the last question remains, what was the legendary/alleged precursor of Pobeda? I made a mistake and called it Exhibition. But in fact, it is the Days of.... and to spare you effort, I will add Insect. The photo was taken at the Days of the Insect festival. 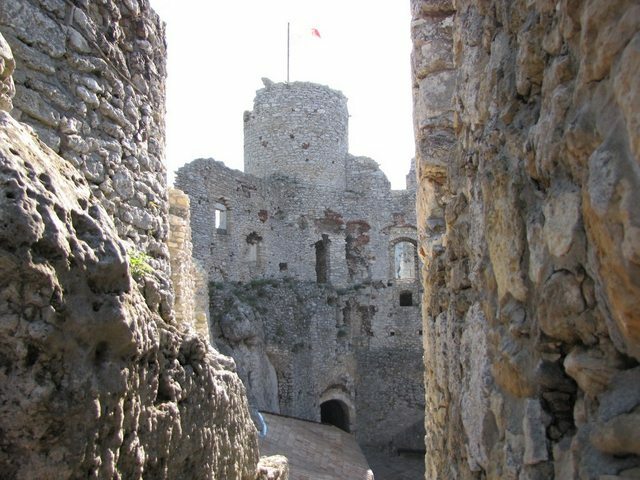 A few pics are waiting for a lucky guess, and in the meanhile..
What are these castle ruins called? what was the legendary/alleged precursor of Pobeda? There were a couple of different models, GAZ - M1, and the GAZ - A, which was based on the Ford Model A, is that what you meant? Dragons, it's the parade of dragons in Kraków. As for models, I didn`t mean the previous generation cars, but the ones that were produced in 1940s-50s. The last one was Warszawa, the middle was Pobeda and the first.....? You are quite close, finish off what you have started. 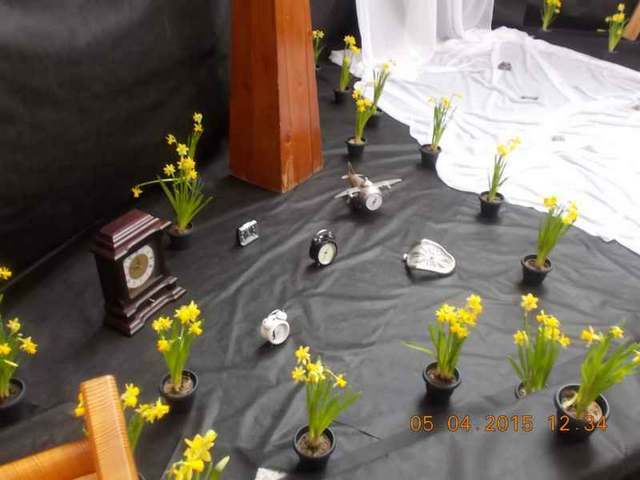 Will have to ponder awhile on the miniature timepieces and daffs. Just a quick thought, is it sth to do with the clocks going forward in Spring ( early hours of tomorrow )? Can't get this, I've also read that the pobeda was modelled on the Ford Model B as well as A. No, when you look at Ford Model A and B, you can see that archaic style of bodywork, while Pobeda and Warszawa look more modern. By saying you are close, I meant Ford, but another model than A/B. Nope, it isn`t about Spring, though the event takes place in it. Those flowers are misleading a little, they are pure decoration. Hint - don`t look at clocks only ( BTW - not miniature - real!). Try to guess the intention behind that beam and white sheet. They are even more important than clocks. Clocks are a mobile element while the beam and the sheet appear annually. I meant Ford, but another model than A/B. All I can find is a Ford model 40A, but it's still a variant of the model B ( Ford Model B 40A 4 door sedan ). Ford SuperDeluxe? Really, I have no idea now. Yes! It can be also Ford SuperDeluxe from 1948 although I meant Ford 1941. . 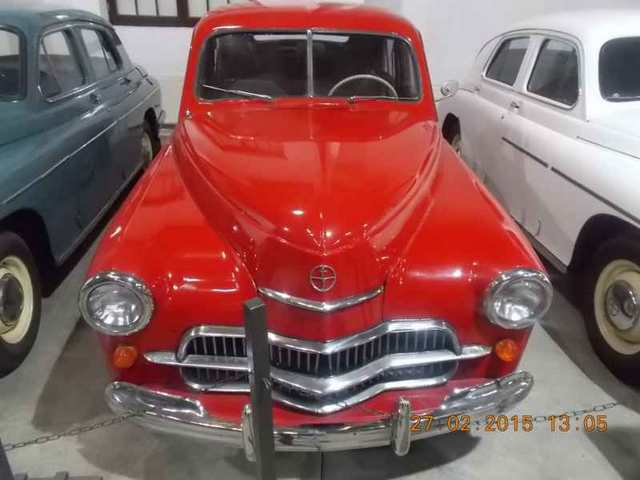 The popular rumour goes that Soviet Pobedas were exact copies of Fords but it isn`t true - engines, chassis and other stuff were different. But it isn`t any word!!! I forgot to add that the new word beginning with sh connotes a similar object to sheet. 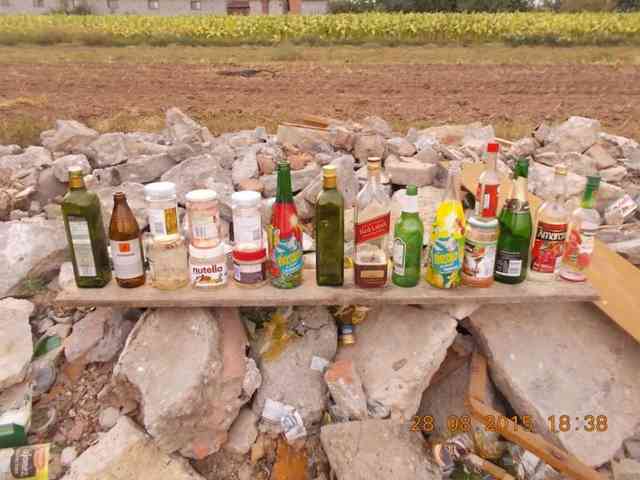 Practically, they are the same things although of different usage. Sh sh sh sh sh sh sh A hint - this object introduces a much nobler atmosphere than some primitive sheet. a shawl doesn` t resemble a sheet!!! I was thinking along the lines that they are both used to cover something, as you said same things, different usage. I didn't think it was right anyway. But at least the car riddle is solved, yay!! I will have to ponder, now I'm leaning toward royalty! Hint - you mentioned covering something. Yes, but this something is often treated as somebody at the same time. How is it possible? Hint 2 - you mentioned royalty. No, the situation when this sh object is used is much more significant than royalty. Actually, royalty practically means nothing in contact with the object. Yes, it is a shroud! Now, the beam! BTW, what is the most famous shroud in the world called? Ok, I think I might, just might, have got this. The time is Easter and it's the resurrection of Jesus. The beam is part of the cross, and the Shroud of Turin is what Jesus is believed by some to have been buried in. In any case, the burial shroud is representative of his death. If I'm right then hallelujah!!!! The symbolic graves of Jesus are popular in Polish churches during Easter , first his figure is enshrouded, then it "resurrects"/ vanishes. Now the clocks mystery should be easy to guess. What is their meaning?